Artists have been drawing figures for centuries. It took many years to master the art of realism. It didn’t just happen over night. 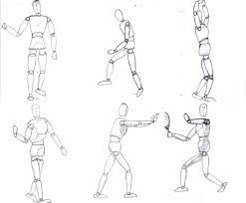 Read the information below to learn more about figure drawing. You can also download the PowerPoint version below. **For drawing assignments for this class you are welcome to draw on a paper as large as you like. I encourage you to draw large unless you like to have very intricate details. You are welcome to any size paper you like in the metal cabinet drawers underneath the clock. Minimum do not go smaller that 11 in. x 17 in. Your paper can be poster size or even larger. It is your choice. Only use the paper in the metal cabinets for your assignments. They are expensive and should not be used for school posters etc. They are just for you and your class. Create a drawing showing what your figure would look like in a different time period. Download the worksheets below to help get you started! Those who have completed this assignment before must showcase at least 2-3 figures in your drawing, showcasing someone else you know. You decide on the size paper for this drawing. I expect them to be large, almost poster size however. This project will take you great deal amount of time. 3. Show the style of the time period. 4. Medium chosen can be your choice but should enhance your idea with clean craftsmanship, including black and white. Download the following worksheets to get you started on your assignment. Complete the Chosen Era Worksheet and keep for you reference in your portfolio. The Famous Decades file also lists which decades are available for inspiration. When we draw a figure, using circles and ovals help create body parts and proportions. Start with fewer details and slowly add on. 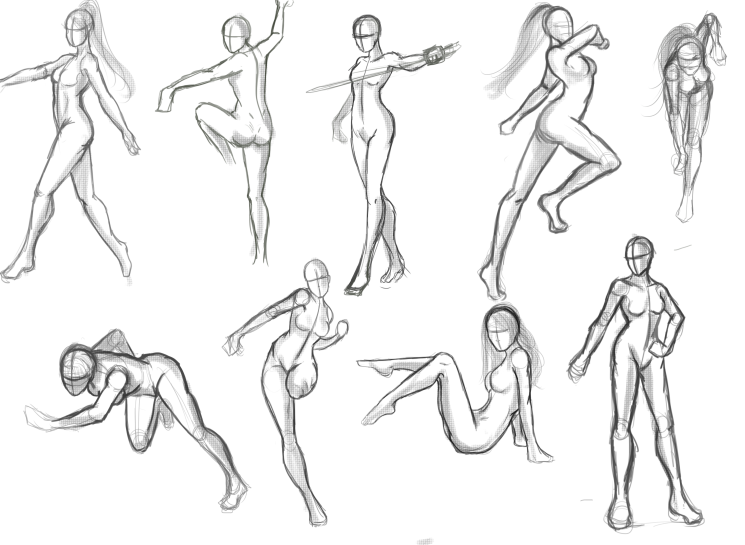 SKILL PRACTICE: Draw 5 figures using the circle technique in your sketchbook. Use classmates or a family member as your model/muse. Have them hold a pose for at least 5 minutes. •What is your decade and why did you choose to put yourself in that decade? •How does your drawing’s environment represent your time in history? •How does your figure’s appearance represent your decade/era? •Anything else that should be addressed in writing that tells us more.